Our thorough search of the modern market allows us to offer an attractive collection of Wool Textured Rug. 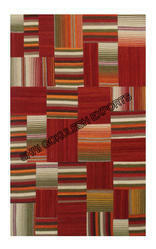 We have wide range of rugs, carpets, floor mats etc. Description:The center of attraction of these outstanding handcrafted shaggy rugs piece is stunning look and extremely smooth touch. The offered carpets are designed and woven by the designers of our firm, who put their expertise in knitting the range following contemporary market trends. These Fancy Woolen Shaggy Carpet can be availed by the customers in different sizes and are perfect to rejuvenate the decor of living & dining room and porch. We offer finest quality of New Zealand, Indian, Wool Rugs in oriental & contemporary designs. 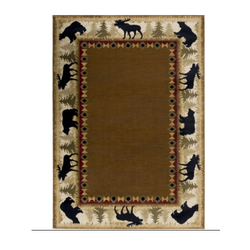 These Wool Rugs offered by us are available in different sizes which suits to your almost all requirements. Our product is offered to the clients at most reasonable prices available in the market.